Polycarbonate sheet is an excellent plastic for display filters. The polycarbonate provides high impact resistance combined with an excellent flammability rating. In terms of clarity polycarbonate is comparable to glass, but being a much lighter substrate polycarbonate is more suitable for applications where weight is an important consideration. Polycarbonate is a soft material, from which is easy to machine complex shapes. Visiontek System's polycarbonate sheets are available in a range of thickness and surface finishes. 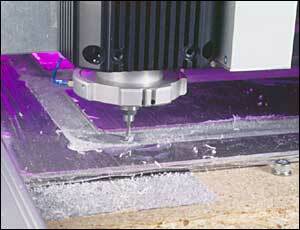 Our CNC cutting facility will machine steps, holes with threads and grooves to strict tolerances. Coloured polycarbonate sheets can provide effective contrast enhancement for coloured displays. Typical applications are LED, Vacuum Fluorescent and Electro-luminescent displays, where the filter accentuates the colour of the emitted light, making the back of the display appear darker. Specific colours can be matched. There is a minimum order requirement of 5 sheets. Polycarbonate is a soft plastic material. Visiontek Systems coat most of their polycarbonate sheets with a clear hard coat to eliminate the risk of scratches occurring through general handling of the product. This coating also provides a high level of chemical resistance. This coating provides the benefits of a non-scratch coating combined with a dispersive non-glare finish to reduce reflections in conditions where bright sunlight or overhead lighting may reduce the readability of a display. They are a cost-effective solution where signal image quality is not critical and the distance from the display to the non-glare surface is less than 5mm. Using a non-glare etch on the front screen of a CRT display can cause an interference with the light etching on the tubes. This will result in a coloured sparkling effect. 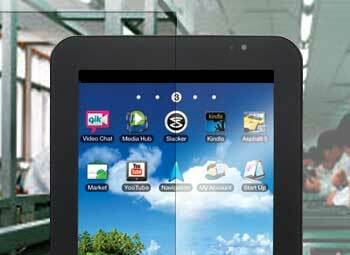 To overcome this distortion the screen should be positioned at least 10cm from the display. Coating Adhesion No signs of de-lamination of coating with the cross hatch test. Water resistance Passes the cross hatch test with no discoloration after 7 days in water at 40°C. These coatings have been formulated to protect plastic substrates from chemical attack for industrial, commercial and military uses. They provide outstanding resistance to all organic solvents and cleaning agents that are in common use. The table below shows the resistance to attack from various chemicals and qualifies the resistance by reference to short (S), medium (M) and long (L) term stability. If a chemical you are using is not on this list, please contact Visiontek Systems for a sample for testing. All filters are packaged with a protective foil on both sides or wrapped in tissue. We recommend that the filters are stored like this. Do not remove the protective foil until final installation of the filter. Inspect the filter by holding it at the edges and peeling back the foil halfway. Replace the foil and then repeat for the other half of the filter. Inspection should be carried out in a clean, dust-free environment. Always use lint free wipes or dry compressed air. Always ensure that the filter is placed on a clean, dust-free surface. Uncoated polycarbonate is extremely soft and should not be cleaned by rubbing or dusting with a cloth. Surface dust can be removed using clean, dry compressed air. Non-glare and hard coated polycarbonate can be cleaned with a dry cloth. Do not use alcohol based solutions. These will cause the polycarbonate to go cloudy and over time this will cause stress ageing which makes the polycarbonate brittle.